Heat the oil in a large pot over medium heat. Stir in the onion and garlic, and saute 5 minutes, until onion is tender. Mix in quinoa, lentils, and mushrooms. Pour in the broth. Cover, and cook 20 minutes. Remove the pot from heat. Shred chard, and gently mix into the pot. Cover, and allow to sit 5 minutes, or until chard is wilted. 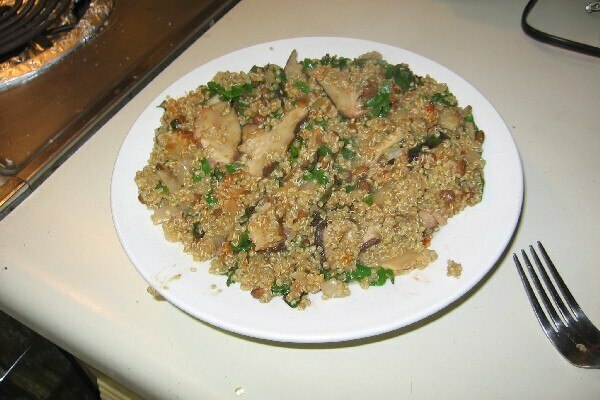 No comments for: "Quinoa Chard Pilaf Recipe"